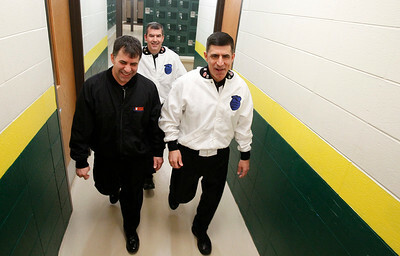 Matthew Apgar - mapgar@shawmedia.com Referee brothers (from left:) Chris Massie, Steve Massie, and Scott Massie head from the locker room to the court to officiate the Crystal Lake South versus Huntley boys basketball game on Friday, Jan. 15, 2016 at Crystal Lake South High School in Crystal Lake. 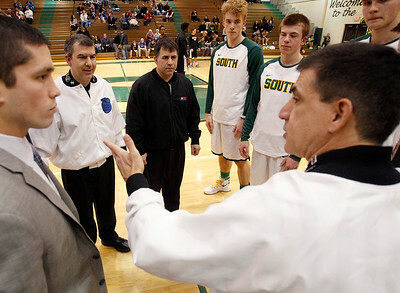 Matthew Apgar - mapgar@shawmedia.com Referee Scott Massie, right, introduces the rules to Huntley coach Will Benson, left, officials Steve Massie and Chris Massie, all brothers, and athletes from Crystal Lake South before their boys basketball game on Friday, Jan. 15, 2016 at Crystal Lake South High School in Crystal Lake. 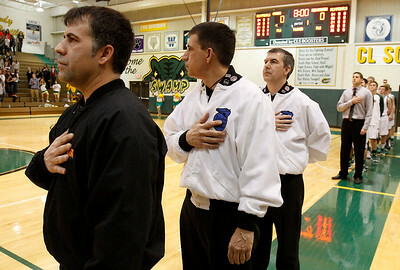 Matthew Apgar - mapgar@shawmedia.com Referee brothers (from left:) Chris Massie, Scott Massie, and Steve Massie hold their hands above their hearts during the national anthem before a boys basketball game on Friday, Jan. 15, 2016 at Crystal Lake South High School in Crystal Lake. Matthew Apgar - mapgar@shawmedia.com Referee brothers (from left:) Scott Massie, Steve Massie, and Chris Massie talk during a timeout in a boys basketball game they officiated on Friday, Jan. 15, 2016 at Crystal Lake South High School in Crystal Lake. 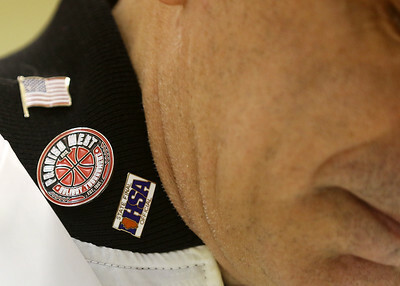 Matthew Apgar - mapgar@shawmedia.com Pins designating Scott Massie as a veteran referee of IHSA state finals and a Proviso West holiday tournament adorn his IHSA coat collar before a boys basketball game on Friday, Jan. 15, 2016 at Crystal Lake South High School in Crystal Lake. 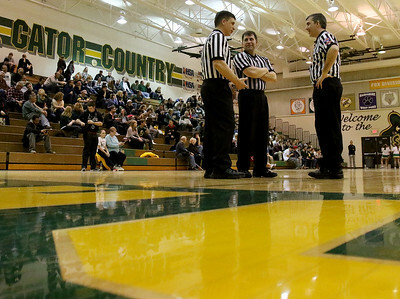 Matthew Apgar - mapgar@shawmedia.com Referee brothers (from left:) Scott, Chris, and Steve Massie talk before officiating a boys basketball game on Friday, Jan. 15, 2016 at Crystal Lake South High School in Crystal Lake. 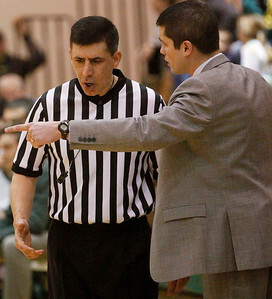 Matthew Apgar - mapgar@shawmedia.com Referee Scott Massie goes over a call with Huntley boys basketball coach Will Benson during a game against Crystal Lake South on Friday, Jan. 15, 2016 at Crystal Lake South High School in Crystal Lake. 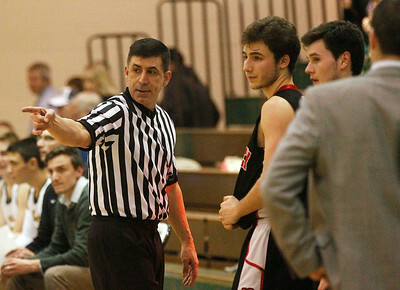 Matthew Apgar - mapgar@shawmedia.com Referee Scott Massie signals for player substitutions during a game between Huntley and Crystal Lake South on Friday, Jan. 15, 2016 at Crystal Lake South High School in Crystal Lake. 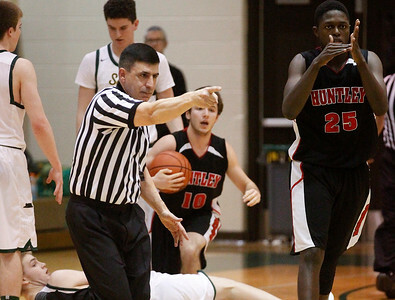 Matthew Apgar - mapgar@shawmedia.com Referee Scott Massie acknowledges a timeout request by Huntley during a boys basketball game against Crystal Lake South on Friday, Jan. 15, 2016 at Crystal Lake South High School in Crystal Lake. 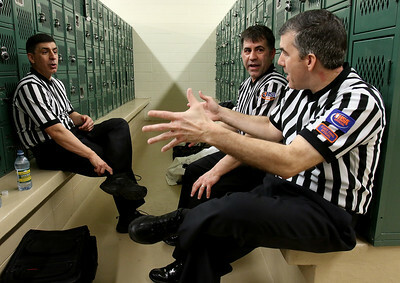 Matthew Apgar - mapgar@shawmedia.com Referee brothers (from left:) Scott, Chris, and Steve Massie discuss the game in the locker room during halftime of the boys basketball game between Huntley and Crystal Lake South on Friday, Jan. 15, 2016 at Crystal Lake South High School in Crystal Lake. 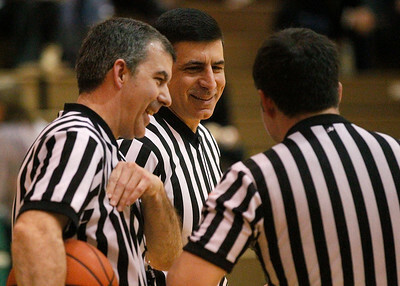 Matthew Apgar - mapgar@shawmedia.com Referee brothers (from left:) Scott, Chris, and Steve Massie talk between the third and fourth quarter of the boys basketball game they officiated together on Friday, Jan. 15, 2016 at Crystal Lake South High School in Crystal Lake. 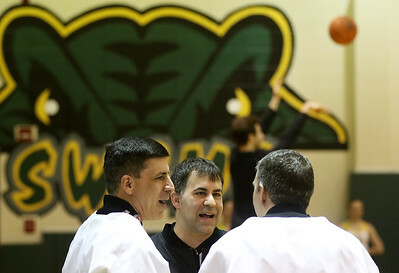 Referee brothers (from left:) Scott Massie, Steve Massie, and Chris Massie talk during a timeout in a boys basketball game they officiated on Friday, Jan. 15, 2016 at Crystal Lake South High School in Crystal Lake.